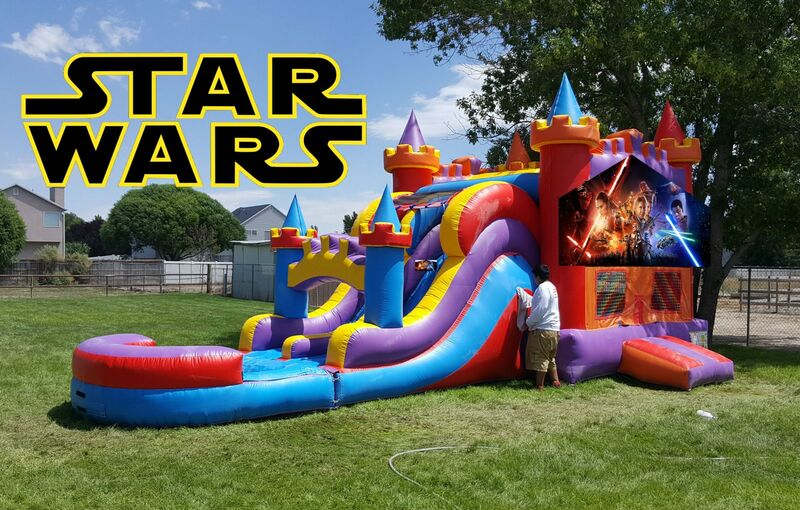 The Force will be with you at your next event with our Star Wars Double Slide Combo. 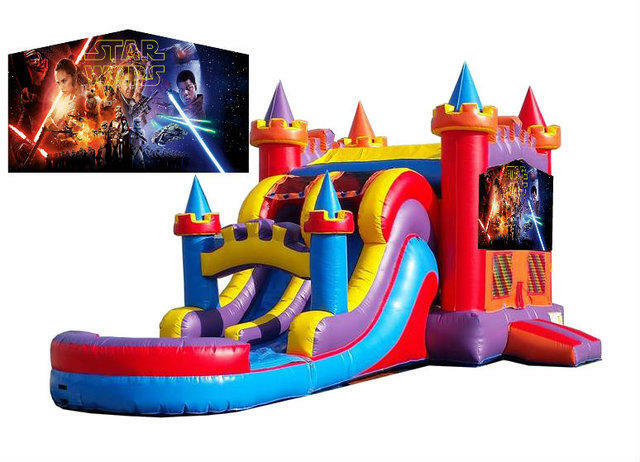 Treat your little Jedi to some moon Bounce fun! Includes an access ramp, child safe mesh, easy climb to the 9 ft dual slide and basketball hoop inside. Your guests won’t be disappointed! Don’t forget to add one of our fun food concessions to make yours, an event to remember!